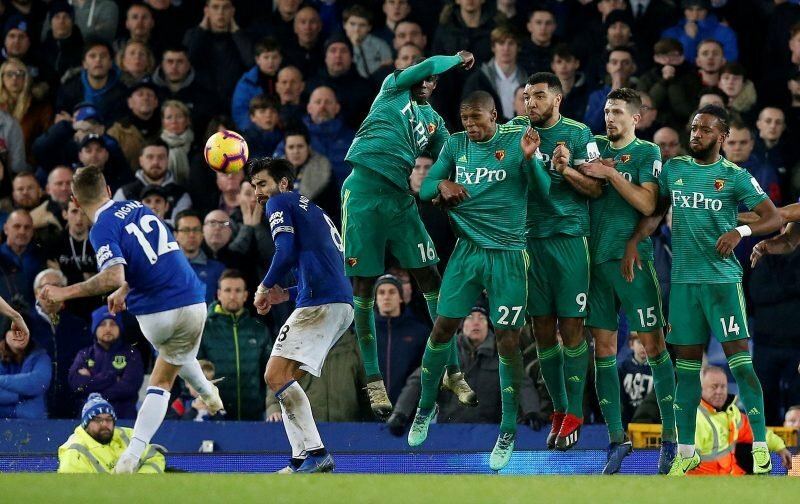 Everton have progressed well under the guidance of Marco Silva but a sequence of four matches without a win has shown there is still work to be done in January. The Toffees are likely to dip into the transfer market for further recruits and it seems the club are planning to utilise the relationship they have built with LaLiga champions Barcelona, with whom they completed a number of deals with during the summer. Silva signed Lucas Digne and Yerry Mina on a permanent basis from the Catalan giants, as well as bringing Andre Gomes in on loan – and many fans are hopeful that a long-term deal for the Portuguese international could be secured. However, it seems Everton have their sights set on another Barcelona midfielder as reports suggest 19-year-old Riqui Puig has emerged as a target for the Toffees – and this had led to some angry reactions from rivals fans on social media. We have gathered some of the comments from Barcelona supporters below. Pay 500m and have him if you are serious. Adra Turan will suit Everton better. They should Target Douglas, Adra, Denis and Vermalen. heck no. He is going to stay in Barcelona!!! !